GMA SHRM Government Affiars Committee Wants You! What a great year! It’s hard not to be proud of all we have accomplished this past year. We had a successful 11th annual Human Capital Conference in May with Dave Ulrich as our keynote speaker, in addition to several fantastic and engaging speakers for breakout sessions and a record setting attendance with over 260 attendees! We implemented a new all-inclusive membership, a new programming structure with 4 ½ day Professional Development Summits a year, revamped and reinvigorated our networking events and created new HR Resource Advice Networks. And, we achieved a silver Excel award from SHRM! It was a busy, but fantastic year as a board! These are just to name a few of the exciting changes from the past year. As things do change, I am honored to begin my new role as Chapter President of Greater Madison Area SHRM and very excited to start this term with a strong Board of Directors by my side. Join me in congratulating our 2016-2017 GMASHRM Board of Directors. 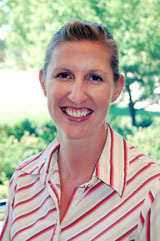 VP of Programming: Tina Hallis, Ph.D.
On July 1, I started my 4th year on the GMA SHRM board. Over the past 4 years our board has changed and our chapter has evolved, but I can say I’ve never been more proud to be part of our organization. I’ve been involved in SHRM since attending college at UW-Platteville when upon moving back to the area, I joined our local chapter. I’ve been a national member as long as I’ve been a local member and both memberships have allowed me to develop my own HR network, attend top-caliber programming events and have access to a vast network of HR professionals and knowledge through National SHRM. 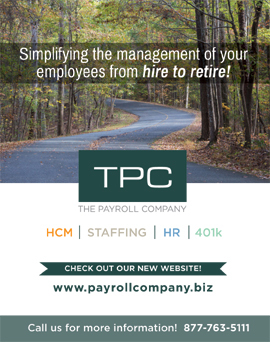 The HR field continues to be a challenging field and as we all know, we’re constantly adapting and flexing the meet the needs of our organizations, our employees and ourselves. GMA faces similar challenges with wanting our members to get the most from their membership, offering superb programming events both through ours PDS and Human Capital Conference and offering great opportunities to volunteer with the chapter. The number one piece of feedback we hear from volunteers is that they wish they would have started sooner. Volunteering doesn’t have to be an all-in commitment – there are roles available for people who have 1 hour a month to give or several hours a week. It’s a flexible and adaptable commitment and I encourage each of you to attend a committee meeting that seems of interest to learn more. We offer an assortment of options – there is something for everyone, depending on your area of interest. GMA SHRM is a great chapter, but we can’t do it alone! I’d also like to take this opportunity to thank Dawn Koopman for her leadership as president over the past year! Dawn has been a great role-model and her passion and dedication to HR and our chapter is a driving force behind many of our exciting changes in past year. We wouldn’t be a strong chapter without strong presidents and Dawn led us fearlessly. Looking forward, we have several exciting initiatives we are working on for the upcoming term. I will be sure to share once we get them finalized. Please know my door (or phone…) is always open if you have any questions, thoughts or concerns. You are welcome to contact me at melissa.chadwick@bakertilly.com or 608 240 2350. The long expected final rules on salary level will go into effect December 1, 2016. The DOL lowered the proposed minimum salary level to $47,476 per year ($913 per week), double the current level, and revised its annual cost of living increase, to an every three year review of increases. A Walmart shelf stocker with progressive MS had increasing medical restrictions limiting ladder use, and requiring extra breaks. These were accommodated in 2006, 2009, and January, 2011. Late in 2011 her doctor limited her to no ladder climbing and limited standing, lifting and walking requirements. She was assigned to one of the lightest stocking jobs, but soon reported that she could not do it because she would still need a ladder. The store transferred her to the available job of cashier, which had no ladder work and paid 20¢ more per hour. She sued, claiming she was forced into a job she did not want, with new tasks to learn. The Court rejected this argument. The change was not an “adverse action”, it was a reasonable accommodation within the ADA requirements. She was qualified for the cashier's job. It paid more. The other alternative would have been a termination for inability to be able to perform the essential ladder function of shelf stocking. Kelleher v. Walmart Stores (8th Cir. 2016). A hospital office employee was fired for invasion of privacy in opening other workers' mail, including mail from doctors containing medical information and test results. An arbitrator reversed the discharge. The employee's duties were to route mail and deal with returned mail. The hospital never developed a policy, so the employee developed her own rules, and used them for over 12 years. Having allowed (or overlooked, or not bothered to check) the practice for a dozen years the hospital could not now, suddenly, discharge the employee it had tacitly authorized to develop her own process for opening the mail. Teamsters v. South Peninsula Hospital (2016). [This case is a good warning that there are many department or unit policies and procedures of which top management is unaware, and which may be in conflict with your handbook – or the law. 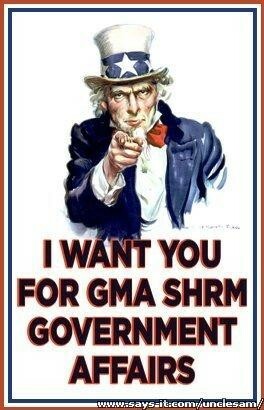 The GMA SHRM Government Affairs Committee Wants YOU! Did you ever wonder why we operate under both federal FLSA and Wisconsin FLSA rules? Did the recent FLSA overtime changes just sneak up on you? How does the Affordable Care Act impact your organization? Did you ever wonder how your organization is affected by laws that are passed in both Madison and Washington, DC? If you answered "yes" to any of these questions and are a current GMA SHRM member, then the GMA SHRM Government Affairs Committee may be just for you. We are a small but fun group of HR professionals that want to know what's coming down the pipeline from our government, help educate our colleagues about the impacts of pending and passed legislation to HR, and establish working relationships with our local, state and federal officials. There are many ways to participate and get involved. If you want to learn more about this committee and how you might benefit from volunteering with the Government Affairs Committee, please visit the GMA SHRM web page here: http://www.gmashrm.org/index.php?module=cms&page=172# and email me at jcp@athletics.wisc.edu with any questions. I’m pleased to see that our HR Advice Network Groups/Roundtables have been gaining popularity over the past few months. These informal meetings are what all HR professionals are looking for. It’s an opportunity to meet fellow HR professionals, create a relationship with them and share best practices. Due to the popularity of these groups, we have had to make a few changes to allow for continued growth. We will now be holding events each month in three locations throughout Madison. Hopefully you will be able to attend one that works best for your schedule and location. CLICK HERE for more information about these events. The Susan R. Meisinger Fellowship for Graduate Study in HR is a premier source of funding for first-time master's degree students in Human Resources. 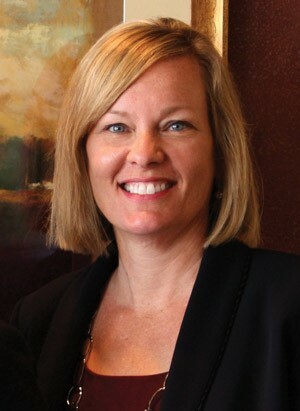 The award honors former SHRM President & CEO, Susan R. Meisinger, SHRM-SCP, SPHR. One winner is selected annually to receive a fellowship of up to $10,000. Each fellowship is renewable for one additional year for a total of two years of graduate study and up to $20,000 total for the fellowship. Doctoral students, including DBAs and Ph.D.s, are not eligible for this award. Please visit the Susan R. Meisinger Fellowship webpage for information on how to apply for the fellowship. If you have any questions, contact Elissa Soares, Foundation Administrator, at 703-535-6020 or via e-mail at fellowship@shrm.org. All required materials must be submitted together in one package. Applications will not be returned. Completed applications must be received by Monday, August 15, 2016. All applicants will be notified of results via mail by October 31, 2016. Looking for ways to expand your view of Madison and the World? Check out some of these cool event calendars! Do you have other great resources? Let us know through the Idea Exchange! The Workplace Diversity, Inclusion and Workflex Advocate Award recognizes organizations that foster an inclusive work environment in which all employees are inspired to contribute their best through their different perspectives, backgrounds and experiences. This award is given to an organization who has been a role model in their local community as a strong advocate for diversity, inclusion and workplace flexibility. It is offered to promote and share best practices to increase the level of diverse, inclusive and flexible workplaces. This award will be based on organizational achievements. The Workplace Diversity, Inclusion and Workflex Advocate Award is presented at our WI State SHRM Conference held October 5 - 7 in Wisconsin Dells, WI. Click here to learn more about this award, eligibility and nomination process. SAVE THE DATES! August Job Boot Camp is coming! Annually, we partner with the Urban League of Greater Madison to offer support and services to job seekers in the Madison area in advance of the Fall Dane County Job Fair at the Alliant Energy Center. This year, we are partnering with the United Way as well. The United Way Job Readiness Fair will be held August 16 and GMA SHRM/ ULGM Job Boot Camp will be held August 19. Volunteer opportunities abound! Review resumes, hold practice interviews, answer general HR questions, help with logistics, meet prospective candidates! You can volunteer for as little as an hour or for the whole event (usually 1/2 a day). Save the date and stay tuned for more information. 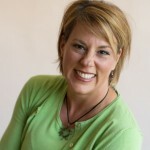 GMA SHRM Professional Award Winner – Congratulations Clara! The Greater Madison Area Society for Human Resource Management (GMA SHRM) has established a professional awards program encouraging continuing education in the human resources field. The annual $1,000 award will be given to a GMA SHRM member to support his or her professional development. Our 2016 Professional Award winner was Clara Tavarez, PHR, SHRM-CP. Employee engagement is critical to every organization’s success, and it is one of the toughest issues employers face as they strive to develop and retain a strong workforce. Coaching is an approach to management—that is, how one carries out the role of being a manager by challenging and developing employees' skills and abilities. This dynamic workshop explores the different management styles and core principles of coaching as an effective management style that leads to more engaged employees and greater results. To assist HR/Recruiters hiring talent from outside the area by being a vital resource throughout the entire process. As the HR/Recruiters interview to hire the best talent, we partner to welcome them to the Madison & surrounding area by mailing them a community welcome box, provide an area tour, introductions to school faculty, assist trailing spouse/significant other with their career search, rental options, home finding and more. Restaino relocation team prides itself on the ability to ensure that your relocation and acclimation experience exceeds your highest expectations. Relocation and acclimation is the foundation of our business, and we work to deliver every detail for our clients. The reward, hearing from our clients that their move felt effortless and enjoyable with our help. And, our HR/Recruiters tell us that our assistance helps them retain the talent that they worked so hard to hire. From my parents: do the right thing even if no one is looking. In my career: build relationships in all directions. Build a local network of HR/Recruiters, to learn more about the job of our HR/recruiter partners and what they encounter in their daily role in their company and to get an appreciation of what they do and how we can enhance their recruiting. What committee are you volunteering with? Have you volunteered on other committees? If yes, which one? I am on the Government Affairs Committee and I’ve also been on the Human Capital Conference Committee. I have created a great network by volunteering and getting to know people. I also enjoy giving my time to better the profession and support others that love HR like I do! I’ve learned a lot by coordinating events too which is helpful in my day job and something I didn’t expect when I started volunteering. This is not only a great way to expand your network but it’s also something valuable to put on your resume to set yourself apart from other candidates. You may not realize the additional skills you can gain from your volunteering experience. Great friends and colleagues, valuable experiences, opportunities for free events and the gratification of giving back. ﻿GMA SHRM welcomes the following members who joined our chapter in May 2016! Kate Rusi Achieving Collaborative Treatment Co.